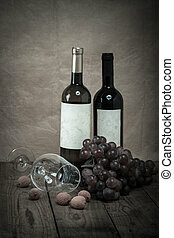 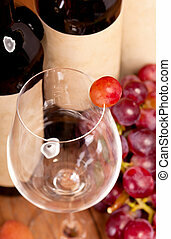 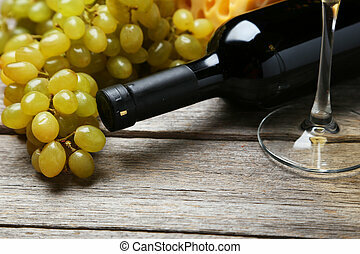 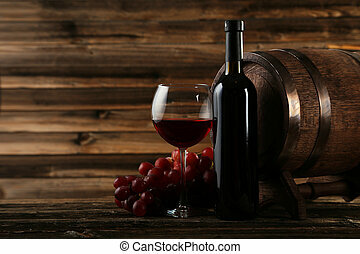 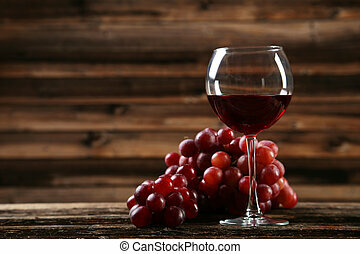 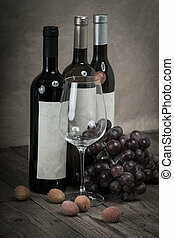 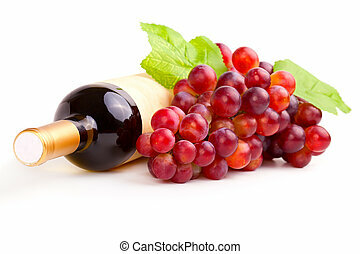 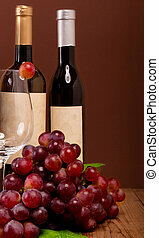 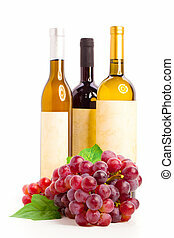 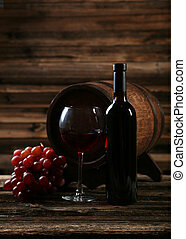 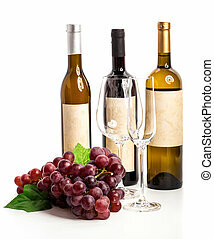 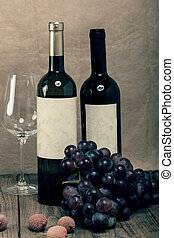 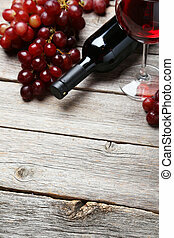 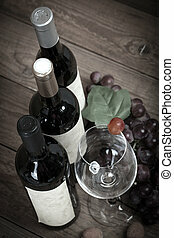 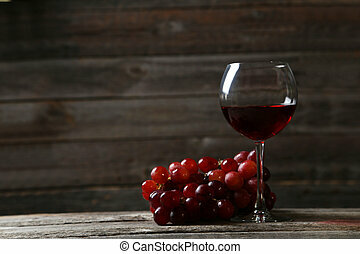 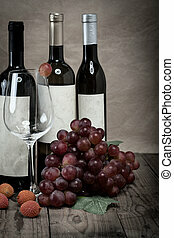 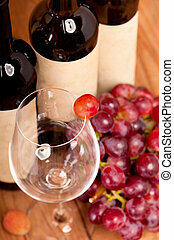 Bottle of vine with wine glass and grapes, on wooden background. 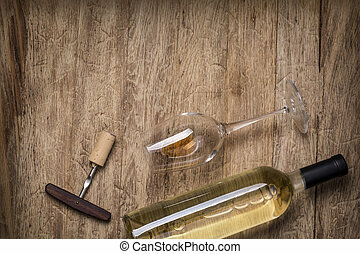 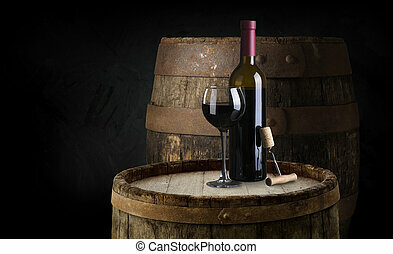 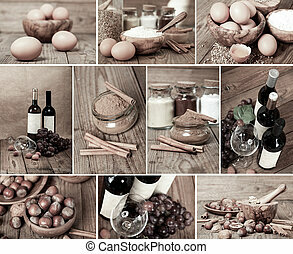 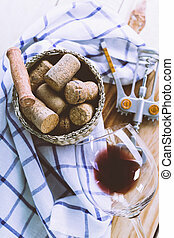 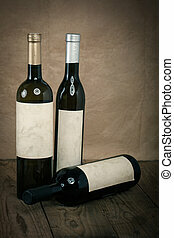 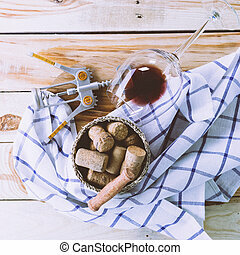 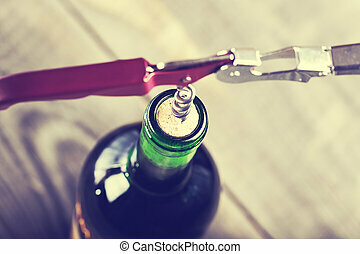 Glass bottle of wine with corks on wooden table background. 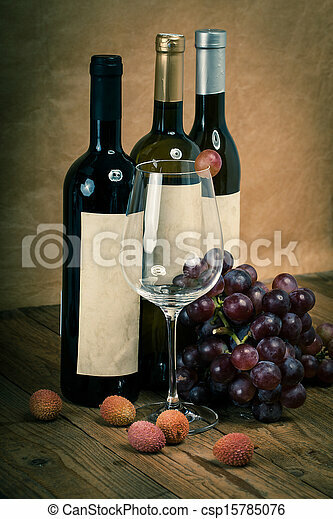 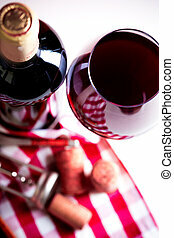 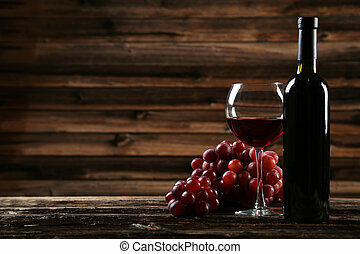 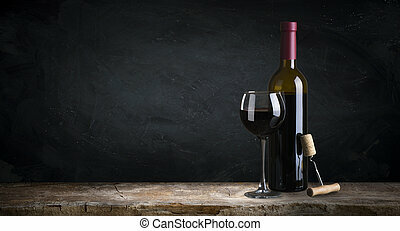 bottle of red wine and grapes, isolated on white background.